At the Thanksgiving dinner table, the RoadAbode Crew were discussing with friends what we've been thankful for throughout the year. Inevitably for us, the stories turn toward our favorite trips in RoadAbode. Either the beauty of natural surroundings we've encountered, yummy delights we've dined upon, or the great times had exploring with family and friends. We feel it's such a blessing that our girls have grown up taking trips in RoadAbode, and we are thankful for the memories that they will be able to share with their future families. When the conversations turned to planning for Christmas holidays, there were some Christmas wishes for under the tree, including items to make our RoadAbode adventures more interesting or fun. Even the youngest of the crew have some items to use in RoadAbode on their list! 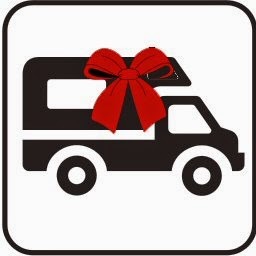 Hopefully our list below will help you find stuff for the RVers and campers on your gift giving list - from young to the young at heart! Even when out in the wilds, we still end up using some technology. One item the family enjoys is the OontZ Curve Bluetooth Speaker. Small enough to pack, but large sound to enjoy whatever is on your playlist. the OontZ wirelessly connects to your Bluetooth device: iPhones, iPads,iPod ,Android Tablets,Cell Phones, and Computers - anything that can output to Bluetooth. You get up to 5 hours of play time from the built-in rechargeable lithium-ion battery. It also works as a wireless hands free Bluetooth speaker-phone for your Android or iPhone. Ours is not as loud as a boombox, but we don't even want that while camping! I have used it when we stream movies from my Samsung Note 3, wired to our Vizio LCD TV, and output wirelessly the sound to the OontZ. Perfect for inside RoadAbode! If you want to double your playtime, check out the OontZ Angle . For Mom or Dad at the office, show off some adventures to their office-mates with a RV Picture Frame We love how we can look back and remember some of the fun we've had in RoadAbode, and how the picture frame helps sparks conversations. The frames are available as popups, trailers, 5th wheels and Class A styles too! To save on battery and because they look cool, we love using our LED Lanterns. Whether for a starry night hike, or to illuminate our game of cards at the campsite, led lanterns last longer, burn cooler, and offer a brighter light than our old incandescent bulbs. We also like to keep on-board RoadAbode LED Motion Sensor Lights. These square little lights are great to keep one to automatically light up near the step, or if anyone (or anyTHING) approaches RoadAbode in the middle of the night. Sometimes I just place one on the running board facing out to our campsite. You can also flip the switch to be constantly on or off. They are just as handy to pickup (they fit in the palm of your hand) and use as a flashlight to take Molly our pup on her nightly romp. We've had these lights about five years now, and we have not had to change the three AA batteries in each yet. Perfect little lights! One of our favorite games to play when at our campsite is a grassroots campground game. Taking the best ideas of corn hole and horseshoes, Ladder Golf is played by throwing a bola of two golf balls connected with a rope at a ladder type structure. It's origins are traced back to a campground in Pennsylvania back the 1990s, and was patented by one of the players in 2001. The game is easy to learn, and all ages can play together with just a change of distance or point spread. Kids love it! If learning is more important than fiction, then reading about RV Travel and Repair may be more to the liking of your RVer. Travel guides to the US, or tomes on repairs and how RV systems work will help keep their travels and RV in great shape! One thing we've only used a few times, but are thankful we have is our Good Sam Road Service Membership. It keeps not just RoadAbode but also our family vehicles protected in the case of roadside breakdowns. Good Sam Roadside Assistance has been around since 1984, and has handled nearly two million roadside breakdowns. Designed with RVers in mind, Good Sam Roadside Assistance gets you the right tow truck for the size of the RV. Benefits include help should you have a tire blowout, need towing, run out of fuel, lock your keys in your vehicle, or experience any other issue that disables a RV. Help for your RVer can be a call away! 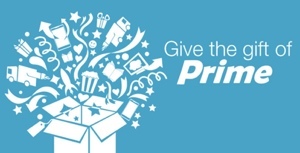 Amazon Prime Gift Membership Offers your RVer FREE Two-Day Shipping on millions of items available at Amazon, plus the added bonus of instantly streaming thousands of movies and TV shows wherever they are. Amazon Prime also offers unlimited, ad-free access to over a million songs and hundreds of playlists to help them keep rocking while their rolling down the road. Other Ideas Include Prepaid Credit Card for filling up the RV or pay other expenses while on the road, or a meal out by giving Restaurant Gift Cards . How about a Coleman Folding Camp Wagon to cart kids or supplies? New Heavy Duty Folding Chairs and a few extras are great for new friends you make at the campground. There are plenty of ways to enhance your RVers next trip out! We want you to know - If you click on the images or links in this blog post and purchase, the RoadAbode Crew get a small commission and you pay the same price as if you went straight to Amazon. These are items we have or have used while RoadTripping in RoadAbode. Read our disclaimer for more info. If you can use any suggestions from our gift list, enjoy, and we humbly thank you in advance for your support..